Find out what's new at The World's Fair Community. Submit ideas for The World's Fair Community here. The Exposition Universelle de 1889 was a World's Fair held in Paris, France from May 6, to October 31, 1889. Remembered most for the Eiffel Tower. The World's Columbian Exposition was held in Chicago, Illinois, United States from May 1 to October 31, 1893. It celebrated the 400th anniversary of Christopher Columbus' discovery of the New World. A Century of Progress International Exposition was held in Chicago, Illinois from 1933 to 1934 to celebrate the city's centennial. The theme of the fair was technological innovation. Its motto was "Science Finds, Industry Applies, Man Conforms". The 1939-40 New York World's Fair, located on the current site of Flushing Meadows-Corona Park, was one of the largest world's fairs of all time. The fair ran for two seasons and over 44 million people attended. The Golden Gate International Exposition was held in San Francisco, California to celebrate the opening of the San Francisco-Oakland Bay Bridge and the Golden Gate Bridge. The exposition's first season ran from February 18, 1939 through October 29, 1939 and its second season was from May 25, 1940 through September 29, 1940. The 1964/1965 New York World’s Fair, located on the current site of Flushing Meadows-Corona Park. The fair ran for two seasons and took place without sanctioning from the Bureau of International Expositions. Expo '70 was held in Osaka, Japan from March 15 and September 13, 1970. This was the first World's Fair held in Japan, 77 countries participated and over 64 million visitors attended. Many fairs have been proposed over the years. Projects start with great fanfare and then fade away. These are their stories. It's a cavalcade of comedy! A parade of parody, delightful deadpan and silly slapstick. Something funny for everyone. Have a Fair collectible you would like to sell? Are you trying to find a buyer for a one-of-a-kind item? 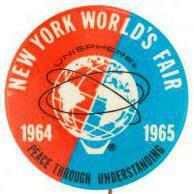 Do you buy and sell world's fair memorabilia? The Souvenir Shop is the place for you. Want to promote a world's fair related commercial event? Are you having a collectibles show? Is there an admission fee? Commercial Events is the place for you. The National Observer (April 15, 2019) has a story about the potential fate of the former USA pavilion on Ile Ste Helene. Evidently, its lease runs out at the end of 2019 and its fate is uncertain. 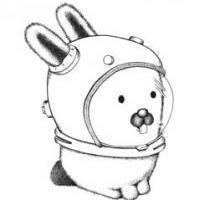 According to the article by Carl Meyer, it may not survive as the Biosphere. That's the point. Its future is murky and the structure is in need of serious work. I just don't know how to provide the link but all I did was search Expo 67; click on news and scroll down several news stories and there it is. Bill would you delete one of these entries for me? And I recall you know how to get the full link attached to a post. would you be able to do that for me? Many thanks to you.